Aspire Nautilus Bottom Vertical Atomizer Coil Unit, is replacement part for Nautilus Mini BVC airflow adjustable pyrex glass tank clearomizer. It has new technology to improve the atomizer efficiency greatly. 5 pieces per pack. 2 resistances available! Aspire Nautilus Bottom Vertical Atomizer Coil Unit, is replacement part for Nautilus Mini BVC airflow adjustable pyrex glass tank clearomizer. 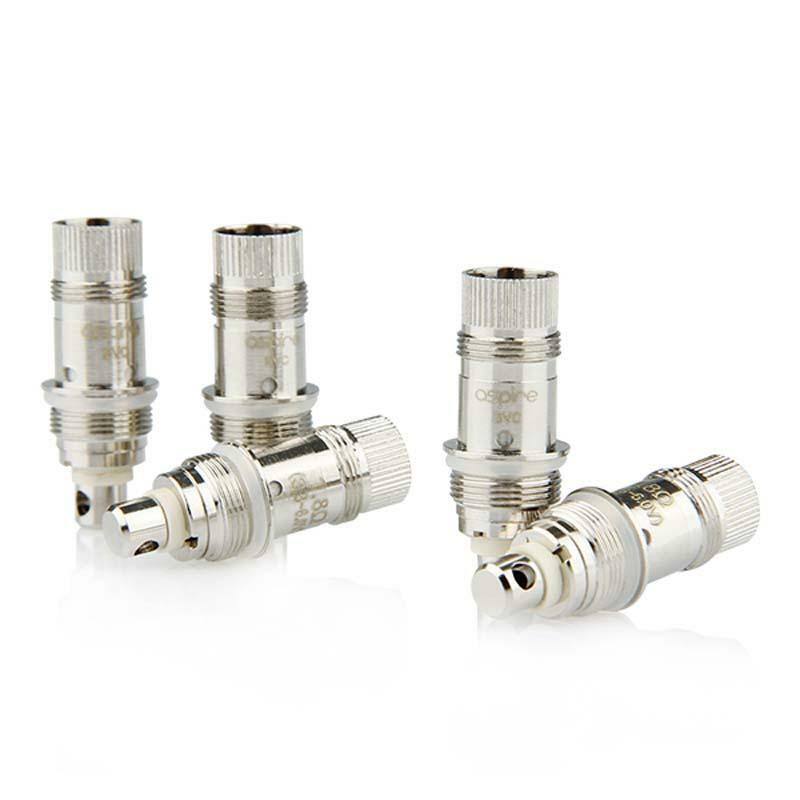 It has new technology to improve the atomizer efficiency greatly. 5 pieces per pack. 2 resistances available! The BVC (Bottom Vertical Coil) is designed to last longer while giving users the purest and cleanest taste from e-liquids. It leads a new revolution in coil technology. Note: There is "1.6Ω" and "1.8Ω"laser on the coil unit/coil head. The Aspire BVC(Bottom Vertical Coil) atomzier technology is designed to last longer while giving users the purest and cleanest taste. How to replace the coil unit? 4. The coil unit can be easily screwed on and screwed off, so customers can replace it by themselves when it's burnt out or needs cleaning. 5. Please be sure that the coil unit is screwed into the cartomizer tightly. After refilling, allow 1-2 minutes for the e-juice to feed into the coil before you start to vaping. Or Give the cartomizer a quick shake to make it faster. • This Coil unit is the replacement part for Aspire Nautilus Mini BVC (Bottom Vertical Coil) Airflow adjustable Pyrex Glass Tank Clearomizer - 2ml. • It is also compatible with Aspire Nautilus BVC Airflow Adjustable Pyrex Glass Clear Cartomizer/Clearomizer - 5ml. Product arrived very promptly and was competitively priced.This is not my first purchase from this supplier,and although I have only just started to use one of the new coils from this purchase I have no reason to believe that will be anything other than excellent,since I have never had a problem with coils purchased from them.Please bear in mind that it is very important to give your nicotine liquid time to saturate the material in the coil before you start to vape...I allow 15 minutes...and don’t let the liquid level drop below the little holes at the base of the coil,if you do air will be sucked into the coil rather than nicotine liquid and you will get an unpleasant,burnt taste.Highly recommend this supplier.